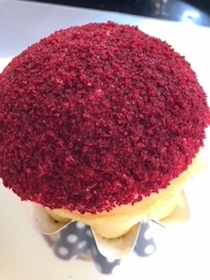 The resurgent popularity of the red velvet cake in the 1980s is due to its natural elegance and fine texture. 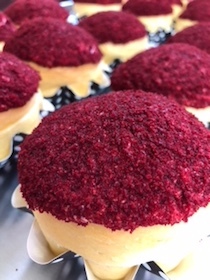 Lush cream cheese frosting and red velvet cake crumbs create a unique medley of textures. Biting into this treasure is a truly royal experience!